The World Snooker Federation (WSF) held its latest board meeting in Bangkok, Thailand on the 4th of September during the staging of the 2018 SangSom 6-Red World Championship. For many years Thailand has played host to meetings involving international federations from across the globe. This year’s meetings were held as part of the ongoing sports development plans by the WSF and WPBSA. Topics discussed at the meeting included the future strategy of the WSF, multi-sport events and the support of the bid for cue sports to be included as part of the programme at the Paris 2024 Olympic Games. Delegates in attendance included WSF President Jason Ferguson, WSF Vice Chairman Nigel Mawer QPM, WSF General Secretary Maxime Cassis and WSF Treasurer Mike Peachey. On the 5th of September the WSF board were joined by its regional and continental members. The European Billiards and Snooker Association (EBSA) was represented by John Terry, the Pan American Billiards and Snooker Association (PABSA) was represented by President Ajeya Prabhakar and the Oceania Billiards and Snooker Federation (OBSF) by President Frank Dewens. The Billiards and Snooker Association of Thailand (BSAT) were also respectfully invited as observers. Today on the 16th August 2018 an Extraordinary General Assembly (EGA) of the World Confederation of Billiards Sports (WCBS) was held in Frankfurt, Germany. It was unanimously agreed at the EGA that the membership status of the WCBS will be made up of the World Pool-Billiard Association (pool), Union Mondiale de Billiard (carom) and that the snooker membership will now made up of the WPBSA and the IBSF as equal independent members. This decision is dependent on the WPBSA and IBSF reaching a formal agreement to work together by 16th December 2018. The World Snooker Federation (WSF) is pleased to announce the Pan American Snooker and Billiards Association (PABSA), a new continental federation which has become a full member of the WSF. PABSA brings together key stakeholders like the USA, Canada, Brazil and more creating a new platform to develop new opportunities through the WSF’s mission to create a seamless structure for snooker’s global development from amateur to professional. Snooker has a rich history in the Americas region, from the achievements of Cliff Thorburn who became our first-ever world champion from outside of the UK back in 1980 to the amazing 13-year-old Nicolly Christo of Brazil who impressed many at this year’s WSF Championships as a potential star of the future. The upcoming season will already see new American activity with World Seniors Snooker Tour qualifying events being staged in both Canada and the USA. Jason Ferguson, WSF president said “WSF Continental and National Federations now span most of the world and we look forward to supporting the needs of our members, their players and officials. We are excited to work with people and organisations who clearly share our passion for billiards sports. “Throughout the 1980s professional snooker saw sporting greats from the Americas region, our global work continues to demonstrate that there are hidden talents in all parts of the world. Ajeya Prabhakar, USSA president said: “I am extremely thankful to Felipe Martins and Pedro Rolim from Brazil and John White, Randall Morrison and Steve Cooper from Canada for sharing the vision in our region and working hard towards our convergence into PABSA along with other countries. UPDATED: PABSA will stage the Pan American Snooker Championship in New York, USA from 1-4 February 2019. 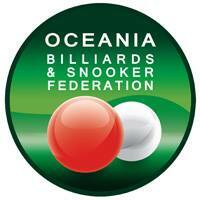 We are today delighted to welcome the Oceania Billiards and Snooker Federation (OBSF) as the latest full member of the World Snooker Federation (WSF). The WSF continues to welcome the support of national and regional bodies that share its commitment to both good governance and the expansion of amateur snooker across the globe. With its rich history in the sport, the Oceania region is a key area for strategic development over the coming years and both the WSF and OBSF are excited about the opportunities ahead. As previously announced, Oceania will be granted a place at this year’s SangSom 6-Red World Championship in Thailand, with a qualifying tournament to be staged in July. This is just the beginning as WSF align the interests of Oceania’s many players with the World Snooker Tour. 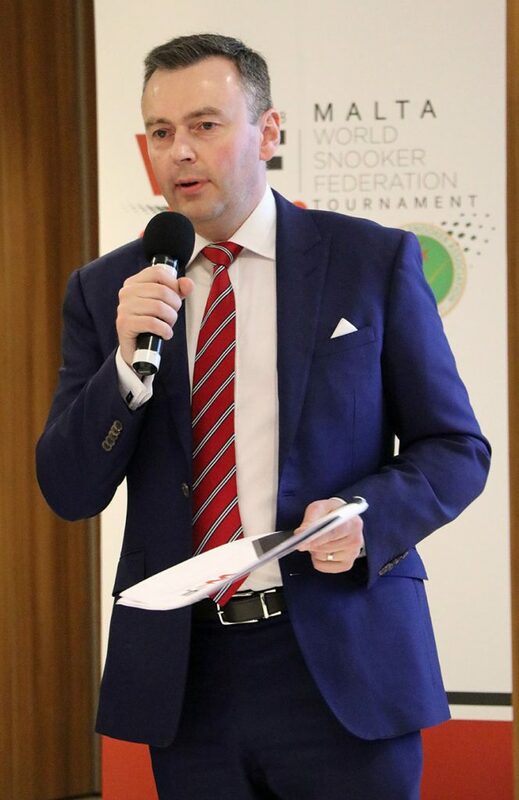 The World Snooker Federation (WSF) received unanimous support from its many international members at its first General Assembly held during the first ever WSF Championships at the Dolmen Hotel, Malta. At the meeting, which began with a presentation setting out the vision of the WSF for the future of snooker globally, delegates representing national federations voted unanimously to ratify the current WSF board and approve its statutes. The historic meeting was formally opened by President of the Malta Billiards and Snooker Association (MBSA) Frans Bugeja, who was given the honour by WSF President Jason Ferguson. Ferguson said: “I am delighted to have had the opportunity today to engage in constructive face to face dialogue with the many national federations who have pledged their support to our global development. The WSF Championships run until 24 March 2018, with the group stages of the first ever WSF Championship commencing this coming Sunday.